If war against North Korea is inevitable, with the defense system we have (using a missile to strike a missile) might not be effective enough since timing and accuracy is in high-stakes. 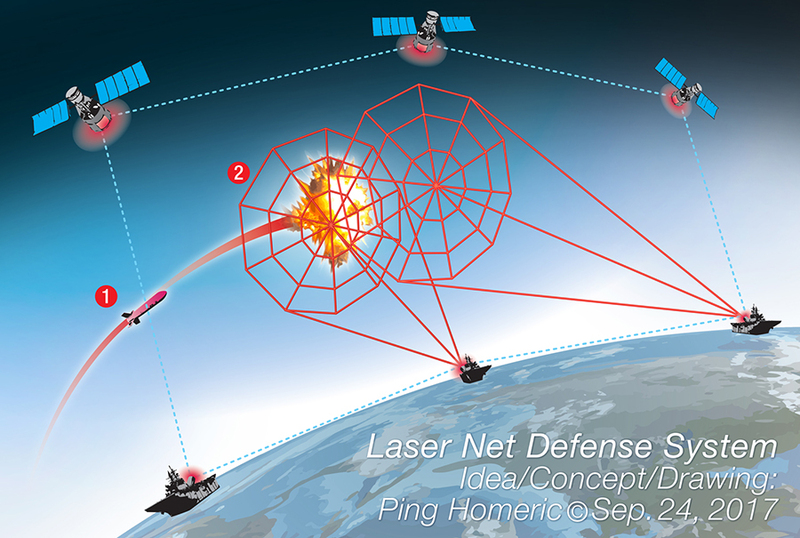 Laser defense system is still under development with similar concept, using a pointy laser to strike down an incoming missile, this also needs a high precision technology to do its job. Satellites detect a missile strike. Airborne missile’s coordinate is shared to the defense system on naval ships and on ground bases, Laser Net Defense System then deployed to stop the incoming attack. This is just my two cents (Note: I’m Not a weaponry/laser expert). Anyway, PEACE may still be our best defense.